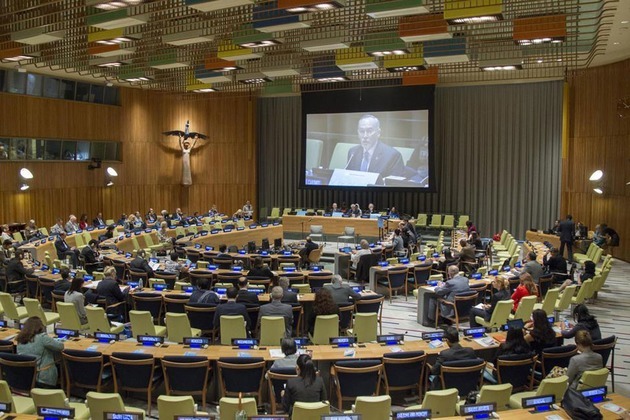 UNITED NATIONS, Sept 2 (APP): Drawing attention to violence and terrorism affecting many parts of the world, the President of the United Nations General Assembly has underscored that importance of promoting a global culture of peace. “On a more micro-level, tensions between communities, high levels of xenophobia and day to day violence against women and girls, is also causing great damage to our societies,” President Mogens Lykketoft told a high-level forum on the ‘Culture of Peace’ in the General Assembly, at UN Headquarters in New York on Thursday. He added that improving the UN’s capacity to conduct peace operations and to sustain peace is as important to the achievement of the Sustainable Development Goals (SDGs), adopted last year, as it is to mitigating crises around the world. Lykketoft convened the one-day meeting on the occasion of the anniversary of the adoption of the Declaration and Programme of Action on a Culture of Peace, and it brought together representatives from UN Member States, UN system entities, civil society, media, the private sector and others with an interest in exchanging ideas and suggestions on ways to build and promote the “Culture of Peace,” and to highlight emerging trends that impact its implementation. In his remarks, the Assembly’s President said that while people around the globe are getting ever-more connected as a result of migration, trade, tourism and urbanization, societies remain plagued by inequality, prejudice, intolerance and conflict. Lykketoft emphasized that the challenge facing the UN and its membership is building a culture of peace and non-violence in spite of the multitude of challenges.